THARPARKAR/MITHI (92 News) – The death toll due to food shortage, pneumonia and diarrhea reaches 60 as five more toddlers lost their lives on Monday. 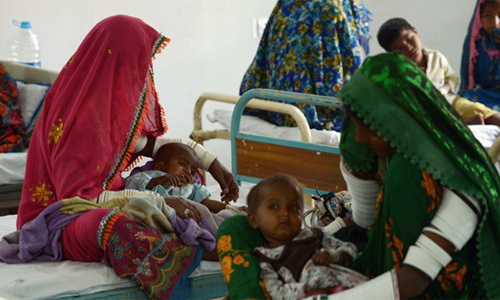 Hundreds of children including dozens of people have been hospitalized in Mithi Civil Hospital and to other hospitals as well. Sindh government’s negligence has added to the miseries of Thar residents. So far, 55 children have lost their lives this year.